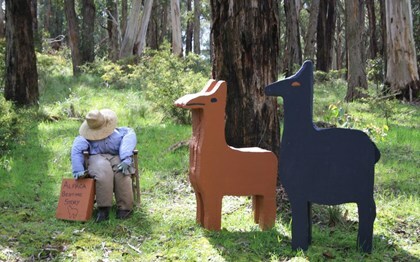 The Hinterland Scarecrow Festival is a time when the Mornington Peninsula hinterland comes alive with quirky Scarecrow creations. 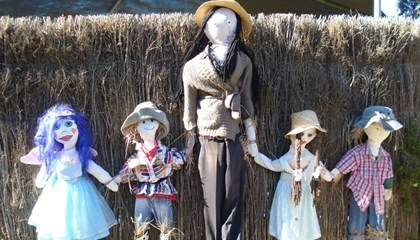 Displayed along the front yards of the peninsula's orchards, cottages, farm-gates, mazes, cafes, & galleries; the Scarecrows form a touring trail of colourful local characters. 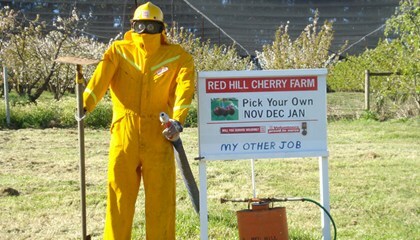 Not only will you be entertained and amused by the Scarecrow Trail, but many local businesses are also getting into the spirit of things by offering their own Scarecrow Specials. There are deals on accommodation, wine, Scarecrow inspired dishes, giveaways and more. Where: In the heart of the Mornington Peninsula! 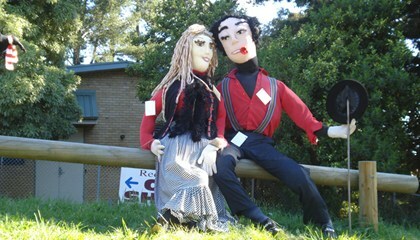 From Moorooduc to Merricks, from Red Hill to Shoreham, from Main Ridge to Arthurs Seat, you will find a trail of Scarecrows to follow. Festival Launch Date: October 6th at the Red Hill Market. Come along and see the Scarecrow competition winners announced as well as our performers from our Scarecrow Poetry Slam. 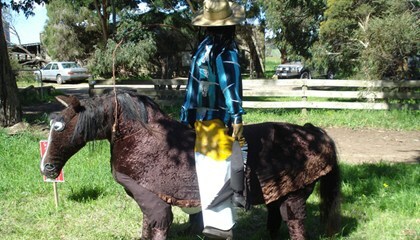 Scarecrow Trail: The Scarecrow Trail will be on display from 1st -31st October 2012, throughout the Mornington Peninsula's Hinterland. How: Visitors can grab a copy of the Scarecrow Trail Map (available online mid September) to help them navigate along the trail and in doing so will discover some of the Mornington Peninsula's hidden gems.